New Delhi; December 13, 2017: Wandering the roads for catching Pokemon’s on Pokemon Go? Or making a move to get the feel of the weather with a great drive and amazing songs streamed from your favourite artist? Well, there is some good news for all you travel buffs… For the first time in India, MyChoize Self Drive Cars, a Self Drive car rental brand owned by ORIX India has launched a first of its kind fleet of Wi-Fi enabled self-drive cars in New Delhi. Data has increasingly become a cheap commodity but good connectivity still remains a cause of concern when traveling to remote and far off places. Keeping the same in mind, MyChoize Cars’ Wi-Fi enabled fleet come with strong Wi-Fi receivers which can receive data better than your ordinary mobile phone and lets you connect up to five of your devices to the net at the same time. This ensures that all the travelers can be connected to internet without being subjected to any data roaming charges whenever they go on a road trip with MyChoize Self Drive Cars. 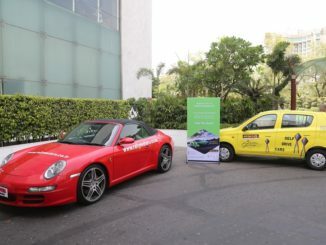 The project is still in beta and MyChoize plans to scale it up to other cities and car models with the learnings of the pilot being run in New Delhi. ORIX in India is a 100% subsidiary of ORIX Corporation, Japan (ORIX). ORIX is Japan’s Largest Car Leasing Company, Japan’s Second Largest Self-Drive Car Rental Company and World’s Fourth largest Consumer Finance Company. ORIX is globally listed on the New York Stock Exchange and Tokyo Stock Exchange. In India, ORIX has been serving the Indian corporates for over 22 years with several business verticals including Car Rentals, Car Leasing, Employee Transportation Solutions, SME Lending, Service Centres, Self-Drive Car Rentals, Shuttles and Commercial Vehicle Finance. ORIX enjoys the distinction of being India’s largest B2B Car Rental Player, India’s Largest and Most Innovative Car Leasing Company and India’s Second Largest B2B Employee Transportation Provider.